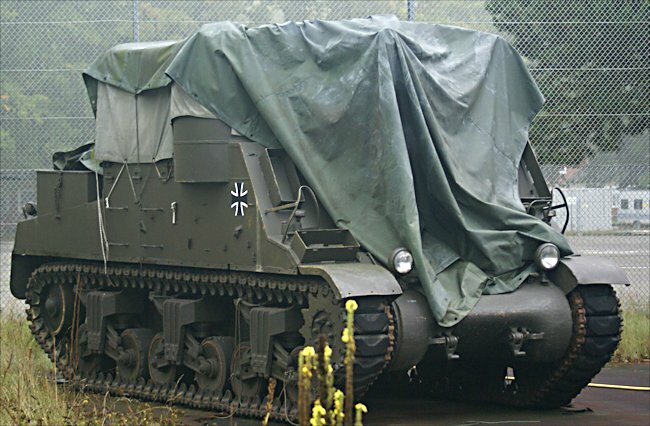 This M7B2 Priest Self Propelled Artillery Gun SPG US made 105 mm Howitzer Motor Carriage can be seen at the Deutsches Panzermuseum in the small military town of Munster, Germany. 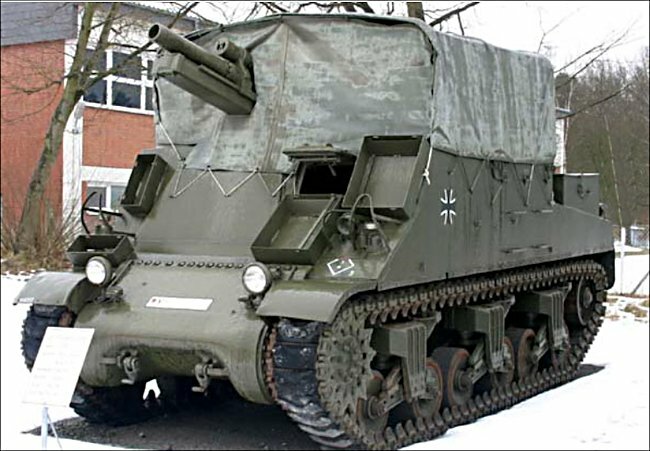 It was used during the early part of the Cold War but based on the WW2 M7 Priest. It is a M7B2 Priest (post WW2), with an elevated howitzer. On a June afternoon in 1944, under cover of a smokescreen that was to be laid down by the Navy, they were to attack the village of Pont Auny. A battleship fired two smoke shells into the area, but the smoke quickly dissipated and the attack was made in broad daylight. Sergeant Androkovich of the 712th Tank Battalion drove the lead M7 105mm Howitzer Motor Carriage between two hedgerows and into an apple orchard. Corpral Eddie Ritz was the gunner and Young the Vehicle commander, Lt Sam Adair, the platoon leader, was along for the ride. A camouflaged German Panzer Mark IV tank in a corner of the orchard allowed the lead M7 Priest to pass. It opened fire on the second M7. The armor-piercing shell penetrated the front of the second Priest and went out the back. A second shot sent flames shooting out the top. In the lead M7 SPG, Young rotated the turret and Ritz fired a high-explosive shell that was in the chamber. He watched as it flew harmlessly over the German tank. The gun of the Mark IV was now pointing at Young's tank and it fired, striking the assault gun in the track. Ritz lowered the 105-mm cannon as far as it would go and fired another round. It struck the German tank just below the cannon with a shower of sparks. The tank did not catch fire, but the crew bailed out through an escape hatch and melted into the brush, Bob Atnip of Clementsville, Kentucky, was the loader in the third M7 Priest. Young's assault gun could not move due to its broken track. Adair did not want to risk having it fall into enemy hands with a full load of ammunition and asked Ritz to stay with him and sent the remaining crew to the rear. He traversed the gun in the direction of the German lines, and with the lieutenant loading and the gunner firing, they used up most of the remaining 105 -mm shells. When they were down to the last few rounds, Adair missed a beat in the rhythmic loading and firing, the cannon's recoil smashing his shoulder. Before retreating to the rear, Androkovich and Ritz went over to check out the German tank. The body of its gunner was inside. 'Look at this!' Ritz said. A round was in the cannon's chamber and the breech was closed. A split second more and their tank would have met the same fate as the second assault gun. Where can I find surviving cold war M7B2 Priest?